A descendant of the famous seventeenth-century religious poet Paul Gerhardt. 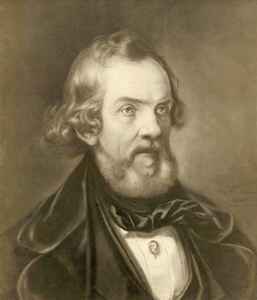 He worked as a dramaturg in the Leipzig Stadttheater where it is possible Robert Schumann knew him personally, particularly if he was the same Gerhard who was the father of Schumann’s favorite local soprano, Livia Frege. His translation of Byron’s Mazeppa was followed by his volume of Burns translations (1840) and his Minstrelklänge aus Schottland, rhythmisch verdeutscht (1853). He also studied Serbian folk poetry, translated Anakreon and Sappho, wrote travel books, and published four volumes of his own Gedichte.